Based on the powerful Edelbrock Performer 90° V6 intake manifold (350-2111), this dual-plane intake is designed for the engine swap market utilizing 1985 & later Chevy 200-229-262 c.i.d. (3.8L and 4.3L) V6 engines with Vortec heads. With this new manifold, rodders can take advantage of the higher flow available with the Vortec head design. 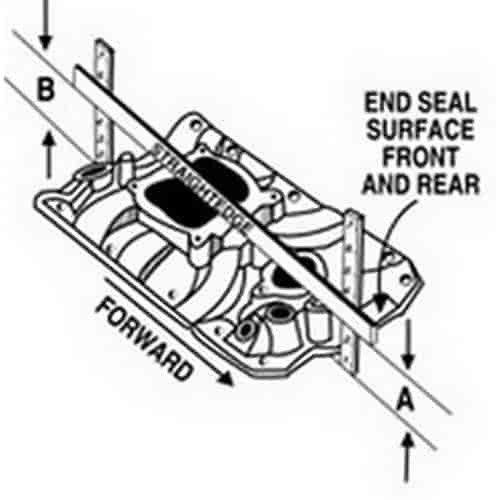 This Performer VORTEC V6 intake manifold has provisions for external water bypass and may be used on either Vortec blocks or 1995 and earlier blocks. Designed for use with Edelbrock Performer Series 500 cfm carbs, it accepts late model waterneck, alternator, HEI and air conditioning.